Consistency in brand messaging is nothing new to the marketing arena, but there are still lessons to be learned, especially in the small business community. Smaller marketing budgets require that every piece of print collateral, and every online experience, count. Small businesses are less likely to have thousands of dollars to dedicate to market research and lengthy A/B testing to assess messaging – each piece of branding must stay consistent and on-message. Ad pieces that land outside of an already recognized brand have little to no impact, and generally lack any real return on investment. In short, the details matter. The 2016 Brand Consistency Impact Study by LucidPress surveyed over 230 businesses to determine the impact of consistent branding and found that “consistent presentation of a brand increases revenue by 23 percent on average”. On the other hand, according to the Oxford College of Marketing, “When a company’s branding is inconsistent across their communication methods, it breaks the link that the customer makes in their mind with the brand”, and has an adverse “lasting impact on the customer’s loyalty and positive connection to the brand”. Because small businesses have smaller marketing budgets, they must make sure that each communication method is consistent in presentation of logo and style, language, and tone of voice.Consistency is key. 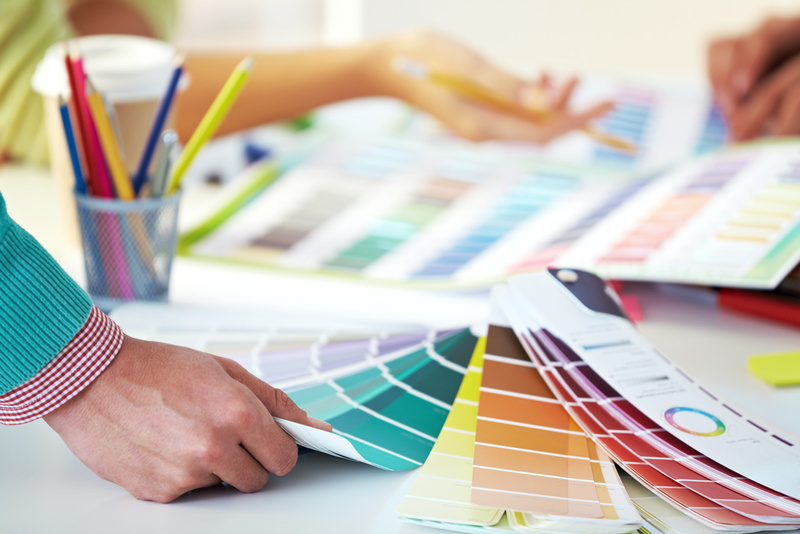 Logo and color choice matter – choose what works and stick with it. Decoded Science, an online news publication dedicated to physics, math, and technology, noted that “logos are not just pretty markers for the product, but carefully designed marks to allow someone to know the company and product subconsciously”. Logos and marks act as symbols that transcend nationality, language, and culture, which is why it is so important for businesses to use their logos consistently, whether in their web design, on their print collateral, or on consumer-facing adverts, such as billboards and pamphlets. A logo, however, is not a standalone marketing tool – it is a product of an entire brand standards guide, consisting of logo usage guidelines, color palette, and font. 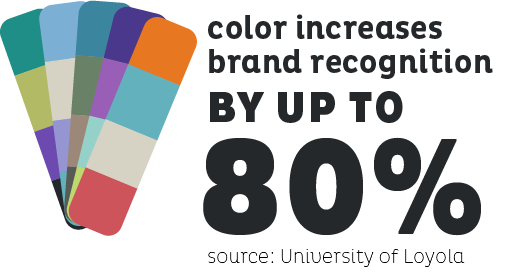 A study performed by the University of Loyola found that color increases brand recognition by up to 80 percent. This data reinforces the importance of color continuity in brand marketing. Because logo and color matter, any deviation from those set aesthetic boundaries can lead to consumer confusion, or worse, complete lack of recognition. According to Forbes, “A brand is made of hundreds of perceptions that create an emotional connection with consumers”. If a business does not present a focused brand and style, they are creating story gaps for the consumer, preventing them from drawing a clear connection with that brand. As a small business, it is especially important to maintain logo consistency for the sake of recognition alone. Do not confuse your consumers! Language, or more specifically brand language, is how a business communicates with their current and potential customers. Brand language should apply across multiple platforms, including website, social media, goods packaging, online and offline advertising, and internal and front-facing email communications. While certain platforms may address specific audience segments, businesses should steer clear of changing their language too aggressively. 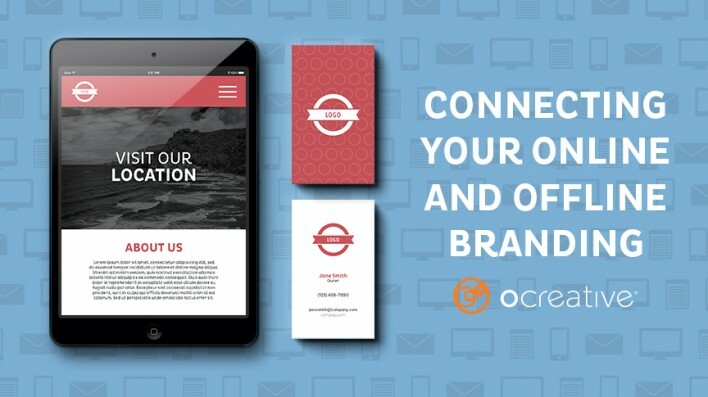 According to Jacob Warwick, contributing author of Percolate, a leading content marketing platform, “having consistent branding online and offline across different channels has become more important than ever when it comes to accurately relaying your messaging to your consumer base”. Consumers should not experience a different persona or brand language from one platform to the next. Warwick continues, “Top companies often find marketing success by creating omni-channel campaigns that appear seamless across all of their channels”. From billboards and print collateral to online channels, such as website and social media, businesses must maintain the same brand language to ensure recognition and positive consumer response. A consumer’s initial experience with one channel may trigger them to seek out that company’s presence on other channels. For example, a consumer may see a billboard on their way home from work and then search for that company on Google My Business. If there is a disconnect in the messaging, the consumer may seek out other, more dependable brands, rather than attempt to make sense of inconsistent objectives and messaging. While brand language is used to relay the objective/s of a company’s products or services, its tone of voice is meant to project their personality. Whether a brand is playful, straightforward, science-minded, or comedic, it must maintain consistency. The Content Marketing Institute agrees: “[Companies] know that when their tone of voice is consistent, their audience hears the same person speaking whenever and however they deal with them. That consistent voice shows customers that the brand is a consistent, reliable company to deal with, and that every part of their experience will be equally good”. For example, using straightforward tone in web design, while being cheeky in print advertising, presents a split in personality for consumers, therefore breaking the link consumers have between a product or service and the brand. Breaking from expectation, and severing this link, can lead to confusion, or worse – broken trust. For small businesses, every marketing cent counts. Do not waste budget on marketing that is not in line with your brand. Maintain a consistent brand presence, both online and offline, by using the same logo and color palette, steady brand language, and dependable tone of voice. Find the right agency that will take the time to review your entire brand presence, integrate seamlessly into your marketing efforts, and help you align your message.